Kim Kardashian‘s revealing her baby girl’s face for the first time … and the Kardashian genes are STRONG with this one. 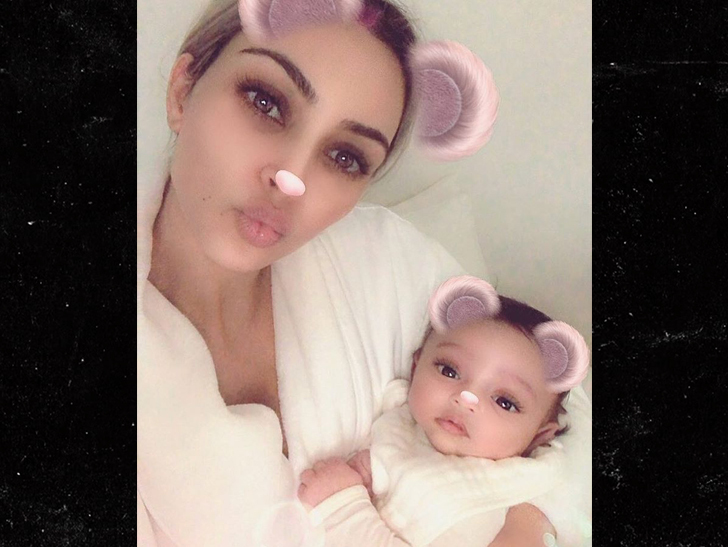 Kim posted the shot of Chicago West on Monday, and, in true family tradition, she’s rocking a face filter for mom’s IG story. The little girl is truly the spitting image of Kim … especially in the eyes. Chi, who was born on Jan. 15, has only been seen a couple of times before — once swaddled in Aunt Kylie’s arms, and another time in her stroller — but this is the first time we’re really getting to see her.